Maybe you are looking for a tool to back up your iPhone SMS now, since we can't loss them. 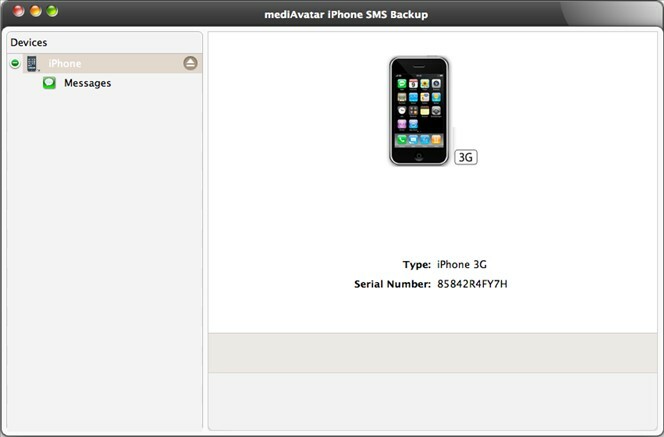 Here MediAvatar iPhone SMS Backup for Mac coming! MediAvatar iPhone SMS Backup for Mac is a top-quality and smart tool helps you back up and manage your iPhone SMS and iMessages on your Mac. You can easily transfer iPhone SMS and iMessages to your Mac and keep them safe with this easy to use software. Besides, you can manage all the iPhone SMS and iMessages on your Mac with perfect and clear view mode. Then the question is: How to back up SMS and iMessages in iPhone with MediAvatar iPhone SMS Backup for Mac? The answer is exporting your iPhone SMS and iMessages as .txt or .html file to Mac. With exporting .txt file, you can read them on Mac or any other device support text file. With exporting .html file, they will be displayed as shown in iPhone. 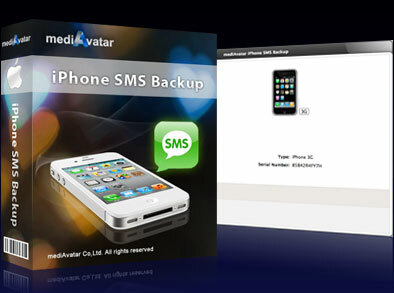 Now you can keep your iPhone SMS and iMessages forever with MediAvatar iPhone SMS Backup for Mac. Download MediAvatar iPhone SMS Backup for Mac FREE now! Back up your iPhone SMS and iMessages! iPhone SMS and iMessages containing received messages and sent messages could be showed in list form with info like Name, Number, Type, Date and Message displayed automatically on your Mac. All iPhone SMS and iMessages could be exported to .txt or .html file to back up them easily. You can read SMS and iMessages on your Mac or smart phone with .txt file. With .html file, all SMS and iMessages could be displayed in the same view with iPhone. Information of your iPhone like version number, iPhone name and serial number will be displayed automatically in the software's main windows when the device is connected. Swift to search for SMS and iMessages by inputting any words even letters from Name, Number or Message of the special message (s). Work well with all iPhone types, e.g. iPhone 3G, iPhone 3GS, iPhone 4, CDMA iPhone 4, iPhone 4S, iPhone 5, iPhone 5s, iPhone 5c, iPad Wi-Fi, iPad Wi-Fi+3G, iPad 16GB, iPad 32GB, iPad 64GB, iPad2, New iPad, iPad Air, iPad mini. Support all all iOS version like iOS 4.2, iOS 4.3, iOS 7. Display device information like version and serial number of your iPhone automatically. Work well with number of iPhone simultaneously without limitation. Locate any message (s) by inputting words or letters from content under any column easily. Get prefer visual experience by more than one kind skin. Adjust distance between Name, Number, Type, Date and Message to read more details under the special column easily. Multiple interface languages including English, German, Japanese, French, Italian, Spanish, Simplified and Traditional Chinese are all available.